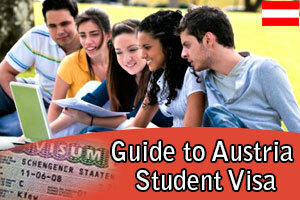 Find ways to obtain Austria Student Visa? Do you have dream to Study in Austria, if your answer is yes, then to not waste much time instead try to find ways to obtain Austria Student Visa. You should be able to prove to the department of immigration and Citizenship that you meet the requirements. Austria student visa from India processing time does vary depending on the assessment level. This visa is valid until duration of your studies.. It even includes holiday period. And it will allow you to remain in Austria for some time at the end of the course in order to prepare for the departure. The students after submitting their application for Austria student visa, they are required to submit a copy of their passport. The original passport would only be required for the purpose of authentication. The embassy has the right to ask question for authentication purpose. The students have to make sure their application is complete, because incomplete applications would not be accepted. Many students feel application process to Study Abroad Visa can be very confusing as it is different for different nations. So it essential that, student should talk to some one who has already studied abroad and in contact or if they do not anyone, then it better to contact the best visa consultant who would guide them about the process.